An enormously muddy thank you goes out to Ollie Cadle and Bob Burr for labouring in the rain and mud to begin the setting up of the school's garden. We already have our lovely apple trees in place, dwarf trees of traditional varieties, which were kindly donated by the Woodman family. 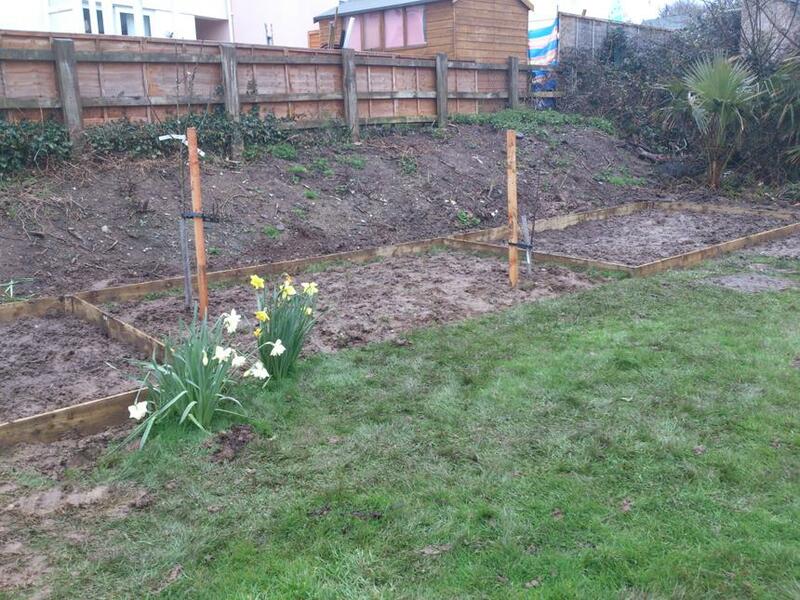 We plan to have the garden in three sections: on the left we will grow vegetables; centrally we will grow fruit trees and on the right we will grow scented herbs. All thanks to our amazing gardening crew! A BIG thank you to Reuben Woods for our amazing new garden bench.